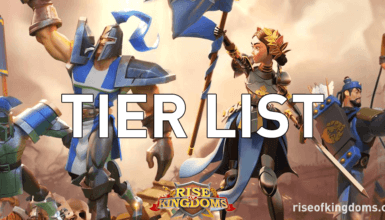 This blog is a fan site of the game Rise of Kingdoms. Here, you can find everything you must know about the game, from the most basic information to the most advanced strategies. 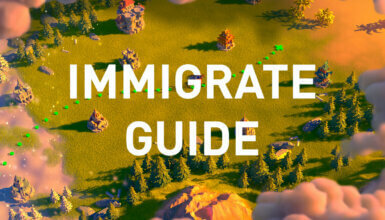 How To Immigrate To A New Kingdom Anytime! 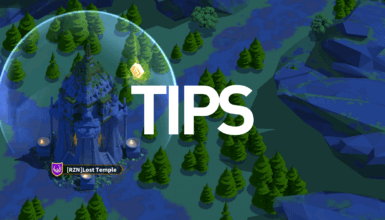 If you want to be a part of this blog, want to give the community your best guides/tips for the game, please visit this page. 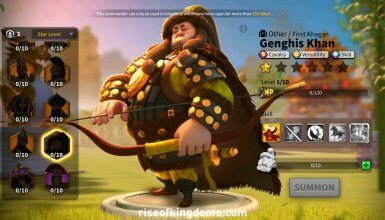 What is Rise of Kingdoms? 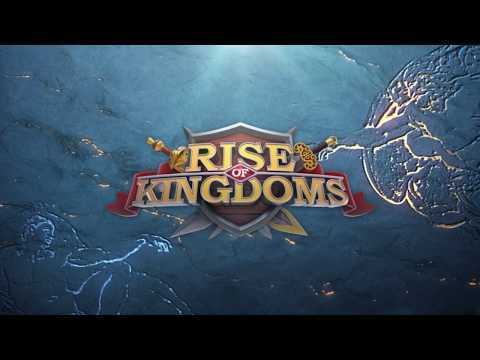 From March 5th 2019, the name of the game Rise of Civilizations is official changed to Rise of Kingdoms! 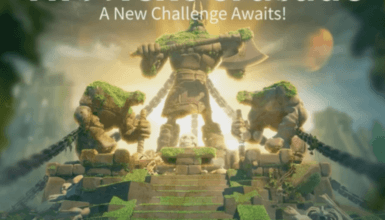 RoK is the next-level RTS game for smartphones and tablets. This stunning strategy video game features an endlessly open world, where you can build your own city, start conquering the world and writing your own history for the kingdom! 11 unique nations and growing: You can choose to become either Rome, Germany, Britain, France, Spain, China, Japan, Korea, Arabia, Ottoman or Byzantium and start building your own city to become the most powerful one in the kingdom! Each nation has its own unique pros and cons. More nations are being added in the next updates. Real-time Battles: In this game, you can do the battles on a huge, wide, open and detailed map with other players in real time. There are tons of natural obstacles like forests, rivers, lakes, mountains and strategic passes on the map. Realistic Day and Night cycle: Not like other games, Rise of Kingdoms has a realistic day&night cycle. Take the advantage of night to do surprising attacks on the opponents. Light is your friend during the day time. Massive Unexplored Map: At the beginning of the kingdom, many places are not discovered by human, thus there isn’t any complete map of the world. Start exploring the world and un-fogging the map! Pick the Legend Commanders you love: The game features a lot of historical figures like Sun Tzu, Julius Caesar, Cleopatra, Joan of Arc, Kusunoki Masahige etc. 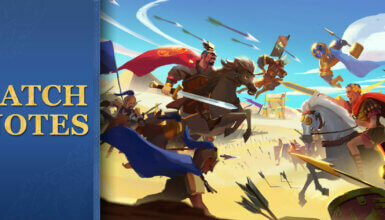 Use the commanders you love and start conquering the world with your unstoppable armies! You must have a feel for megalomanic tyrants of the past. They had to have the needs of their own people as well as keep tabs on the horizon, finding new places to dominate & waiting for the approach of the battle flags of the opponents’ army. This game, Rise of Kingdoms, allows you to go through the experience of their plight in real life, & at a scale that we have never witnessed on smartphones in the past. We would start from the beginning. You begin by selecting to play as 1 out of the 8 civilizations – Rome, France, Germany, Spain, China, Britain, Japan & Korea. After that, you will be offered a little piece of land for cultivating in one of your cities. At the very center of the City hall of yours, & as you keep leveling up your building, you get access to different sorts of buildings, which even includes the general collection of stable, farm, academy, barracks, lumber mill, archery range, & a lot more. You have the option of building roads & planting trees as well. All these buildings come with the option of upgrading, and such upgrades do take time, which means you have to queue them up in the hut of the builder. But thanks to the speed up cards, you can skip them. And these speed up cards, you need to collect them by buying or playing with gems directly. This gives more meaning to your traditional five to ten minute gaming periods more meaning, as you can do stuff quicker & let larger projects take place at the background while you do some other thing. You have the option of loading the game, upgrading multiple buildings, sending out a couple scouts, training some of your troops, and usually ramp up your small city as you wait for your bus to arrive. Did you decipher that far? Good. While we haven’t covered the details, you get the basic picture of it. Do this now, place your 2 fingers on top of the screen & draw them together. Do that again. And one more time. Ultimately, you’d zoom out as possibly far as you could, at the point where you could make a swipe on the screen for surveying your whole kingdom. The majority of it got covered inside the fog caused by the war, a small map at the top-right corner that indicates the amount of the world that is on the screen. Swipe your way towards the corner of the small map & you’d get to one more of such small maps. You will find a total of 9 there, each of them being 9x larger compared to a completely zoomed-out screen filled with stuff. ‘Rise of Kingdoms’ happens to be massive. Then, it happens to be a huge nasty world beyond the walls of your small city. There happen to be lands of crops you can harvest, barbarians that you can ambush at several extents of hardships, forts of barbarians that you can raid, cities of enemies, logging camps, & lots and lots more. Each time you employ a scout, you give birth to more of the gameplay. In terms of fighting, you have to keep up not the troops of your only, but, the RPG commanders as well. For instance, Joan of Arc & Sun Tzu. All these come with their personal skill trees. Plus, you are able to have plenty of them at the same time, which command the troops at the various sections of your map. You do not need to fight the entire world on your own. By joining into an alliance, you will connect yourself to a complete alliance domain, alongside shared liabilities & assets. If you are interested, you could help your other alliance teams by offering donations or troops. You could also seek help, for things like pacing up your research and leveling up the procedures. You can also give funds to research projects of alliance level. Overall, there are so many things to do in this game that you may end up dizzying. From home chores to bloodbaths of war, skirmishes with close barbarians to diplomacy with alliances who are far away, from battling through military stages to applying buffs, all of that with the help of a few taps on your phone screen. 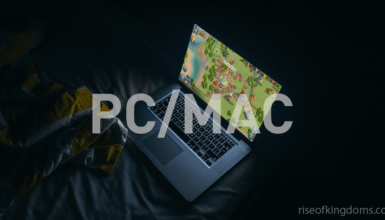 All these happen at a real-time, continuous open-world situation, alongside numerous notifications that inform you about what is going on while you are doing something else on your device. Gratefully, there happen to be missions, quests, and also regular objectives that help you barge forward. 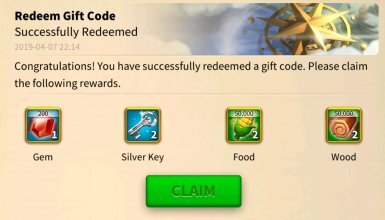 You have these available at a constant amount, with every one of them awarding you with logs, food, currency, and some other resources as well. It involves completing researches, bringing on more troops, brushing up your horsemanship, & a gazillion of others such tasks, with all them being essential for attaining greatness. We have been playing the game Rise of, Civilizations for hours on end, yet we feel as if we haven’t even touched the surface of it. There are so many things stashed inside this game, as a matter of fact, it may turn into something fiddly sometimes. You have to utilize the zoom feature even within the city for avoiding pressing the wrong building mistakenly. Similarly, the graphics on this game are very detailed & serviceable. However, there is a small room allocated for the characters. But who is in need of it? This ain’t a part of this game. It is a superb real-time strategic MMO taking place in a map which rolls out on hundreds of kilometers (in the virtual world, of course). And, if you’ve any sort of dictatorial desires at all, feel free to give this game a shot. You can check this game out on the App Store or Google play right now. This fan site does not belong to Lilith Games. It is ran by the community and for the community of the game.